As light as a feather, as soft as a cloud, as enveloping as cashmere, down is the finest way to sleep. Duck feather? Goose down? Fill power? Baffles? Ticking? How do I choose? Below, we've put together the most frequently asked questions we get in our store helping customers select a down duvet. Down is the three-dimensional insulating fluff found under the chest feathers of waterfowls. Down clusters have a central core of fibers with no spine. These feathers are soft, nearly weightless clusters that radiate in all directions from a central point and interlock to trap air. Generally, the colder the climate and the longer the goose is allowed to mature, the larger and warmer the down clusters. Feathers are the plumage found on the outside of waterfowl. They have a two-dimensional structure with a spine running thru the middle. The shape of feathers make for great structure, which makes them appropriate for decorative pillows and feather beds. However they have no insulating ability and should not be used in duvets. The soul of every duvet is fill. Fill power indicates the number of cubic inches filled by each ounce of down. The more space an ounce of down takes up, the more warmth it offers per ounce and the fluffier the duvet will be. Duvets are generally filled with one of the following down types: White Goose Down (550 fill power), Hungarian Goose Down (650 fill power), Polish Goose Down (750 fill power), or Siberian Goose Down (800 fill power). The higher the fill power, the warmer the duvet will be. The ticking and the method used to enclose the duvet can enhance or undermine a duvets ability to loft, insulate, breathe and last. Ticking is the fabric sack that contains the fill of a duvet. Quality duvets are made with down-proof, natural fiber ticking with a high thread count, usually a 300 thread-count or higher. What is boxed-baffled construction and why is it important? Baffles are interior walls that keep the two layers of ticking lifted apart to allow for greater loft of the down. A boxed-baffled construction prevents the shifting of the down. Quality duvets have a boxed-baffled construction of 10" to 15". Beware of duvets sold with boxed construction but have no interior baffles. These duvets do not loft as high, are not as warm and have a tendency not to last as long. This is due to the fact that the two layers of ticking are sewn together through the down, which crushes the down and prevents loft. How do I clean my duvet? A duvet should always be covered and protected by a duvet cover. It is the duvet cover that gets laundered as needed and keeps the duvet free of stains and dust. As such, you should never need to clean a duvet. If cleaning becomes a necessity, the duvet should be taken to a professional cleaners that specializes in cleaning down. Down duvets should never be washed in the washing machine. This process breaks down the down fibers and the duvet loses its warmth and loft abilities. If cared for properly, quality duvets will last 10-15 years. Searching for down duvets? 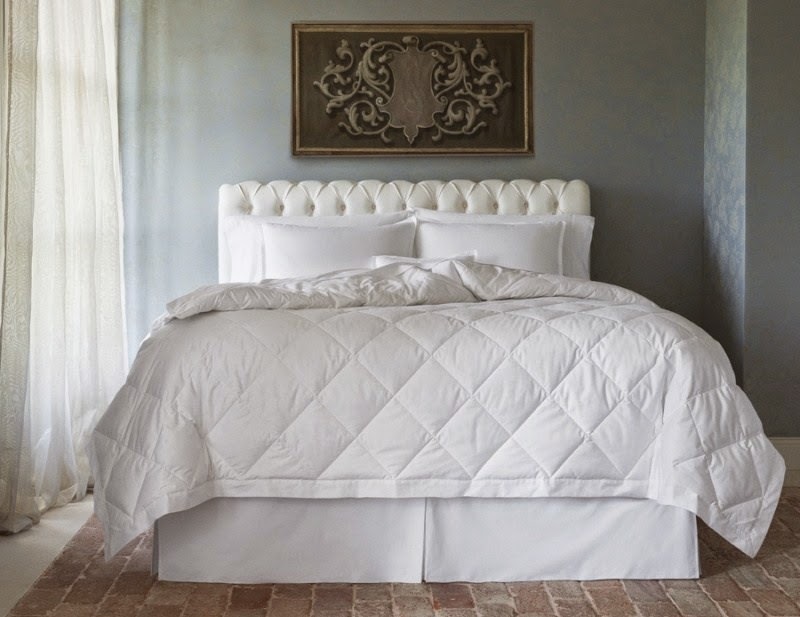 See our recommended down duvet collection.